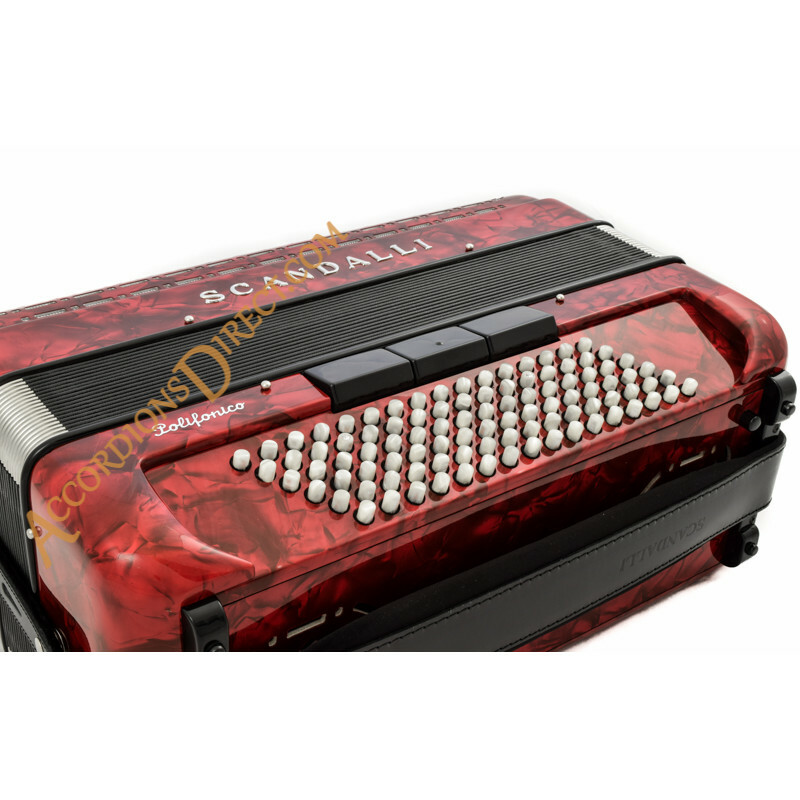 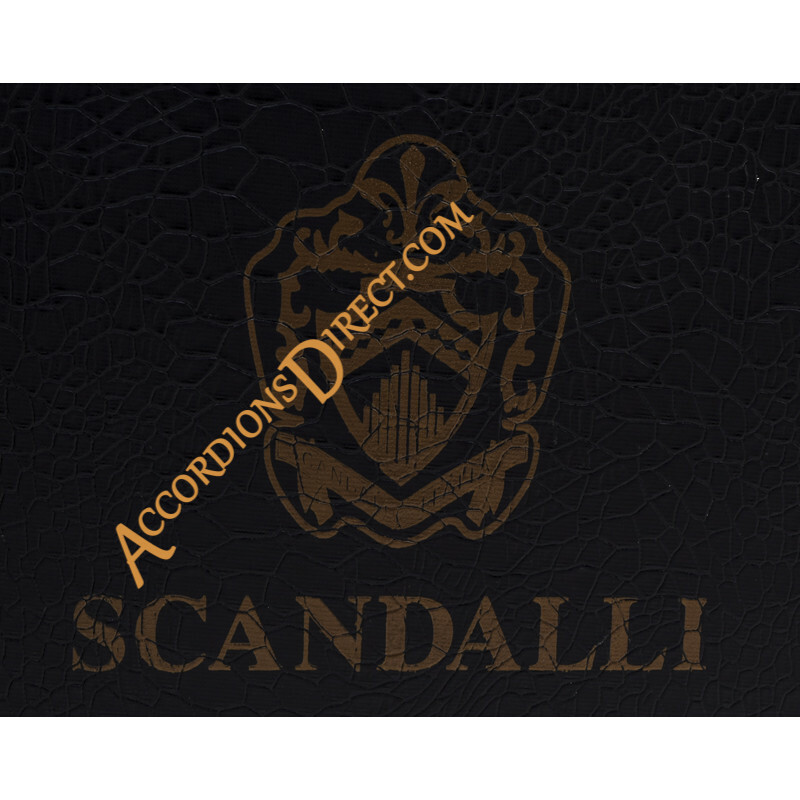 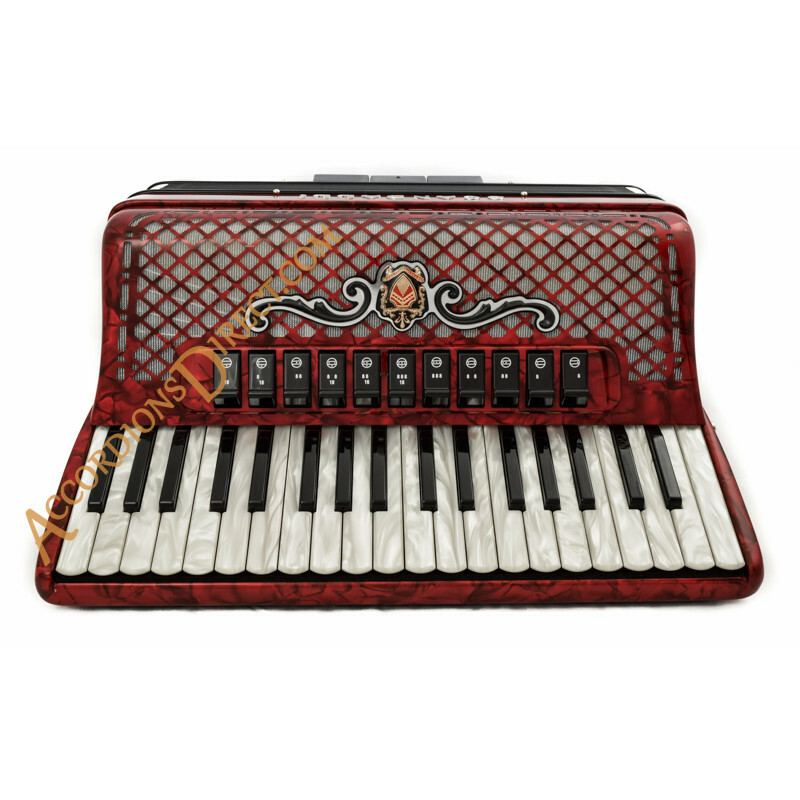 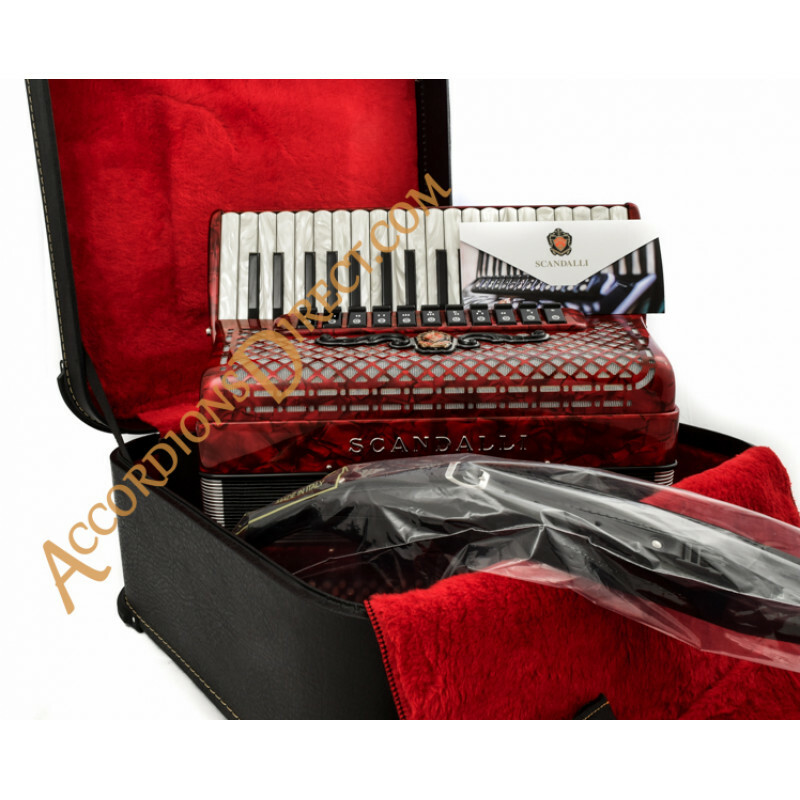 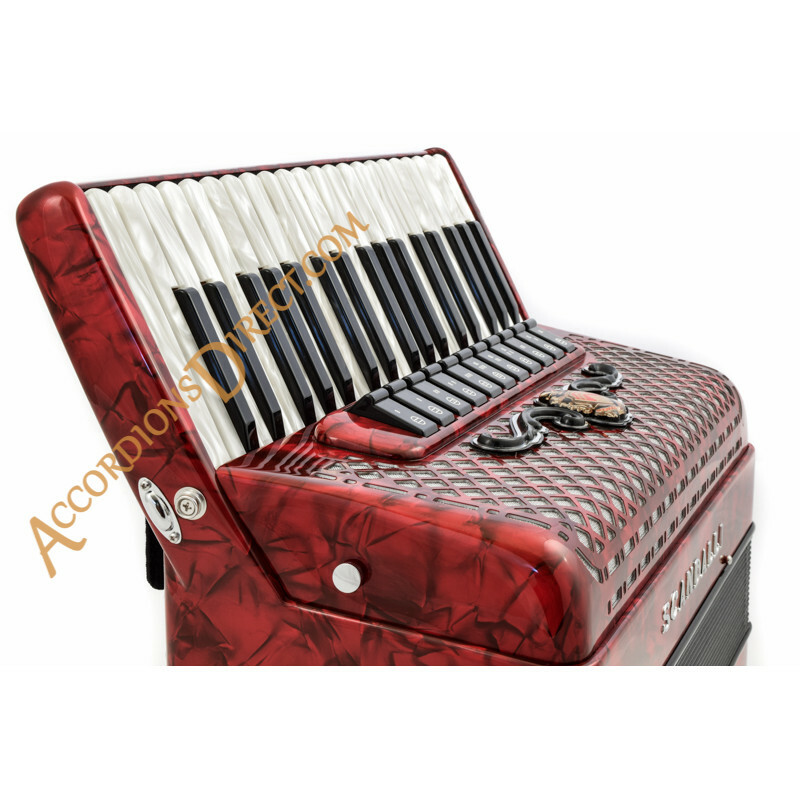 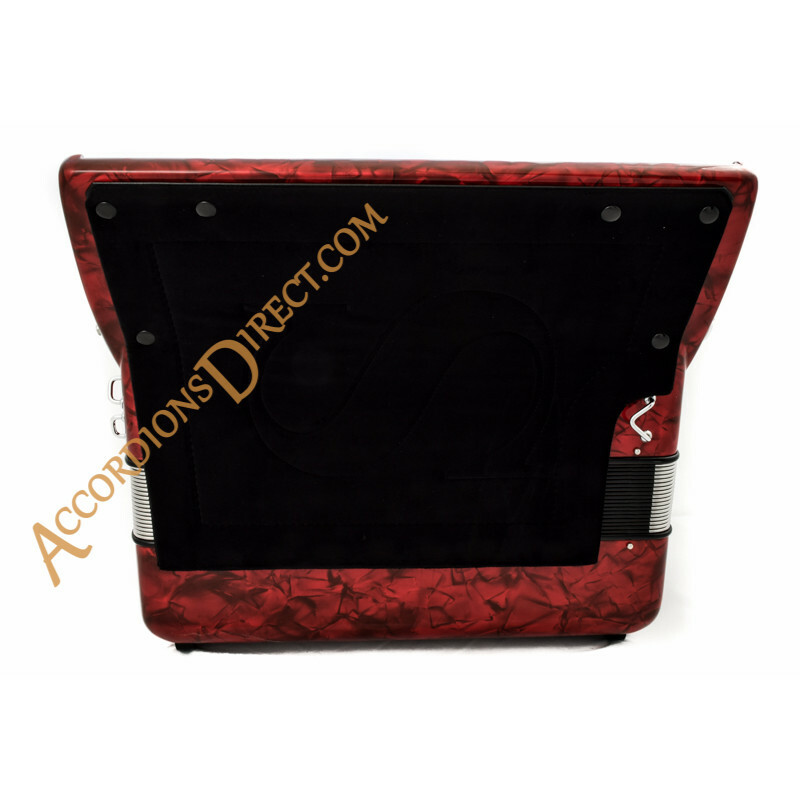 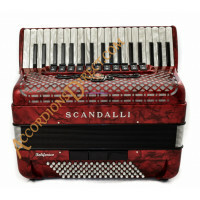 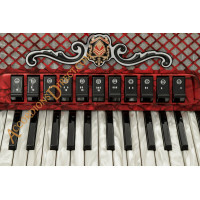 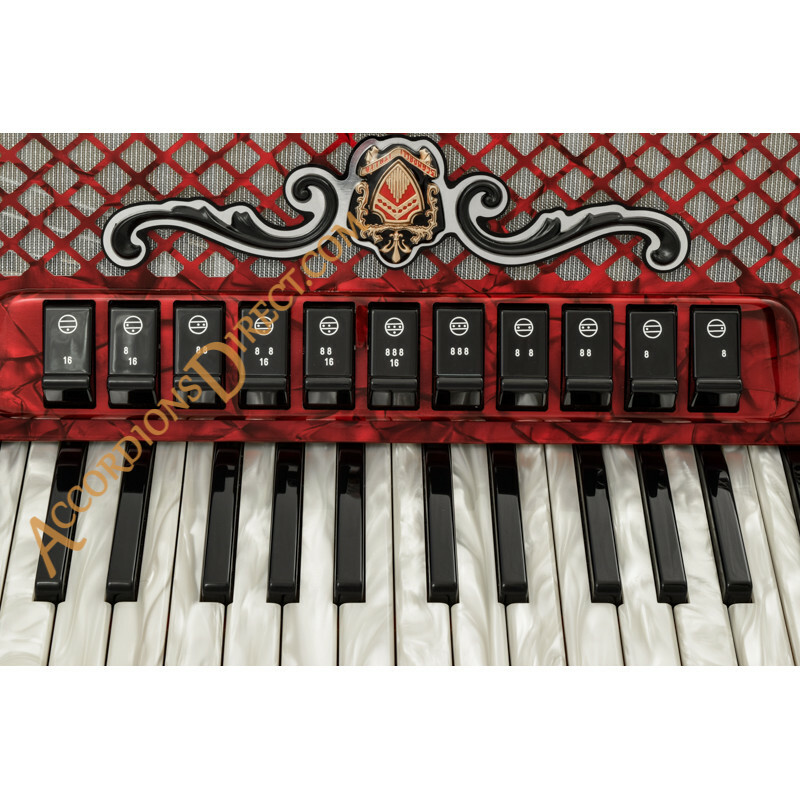 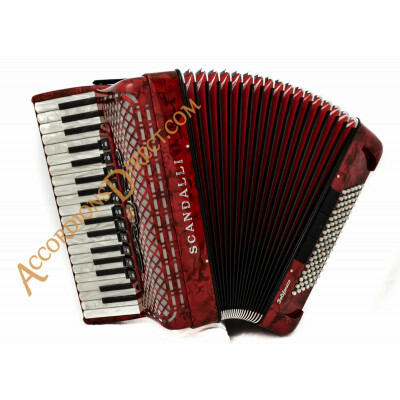 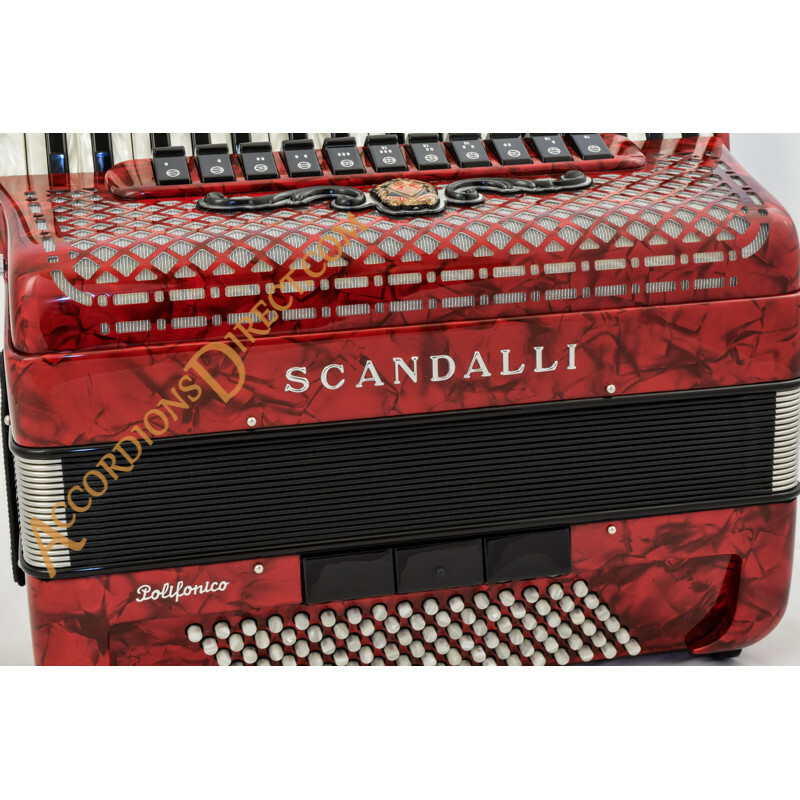 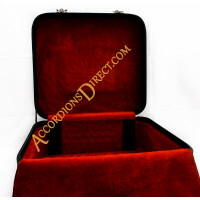 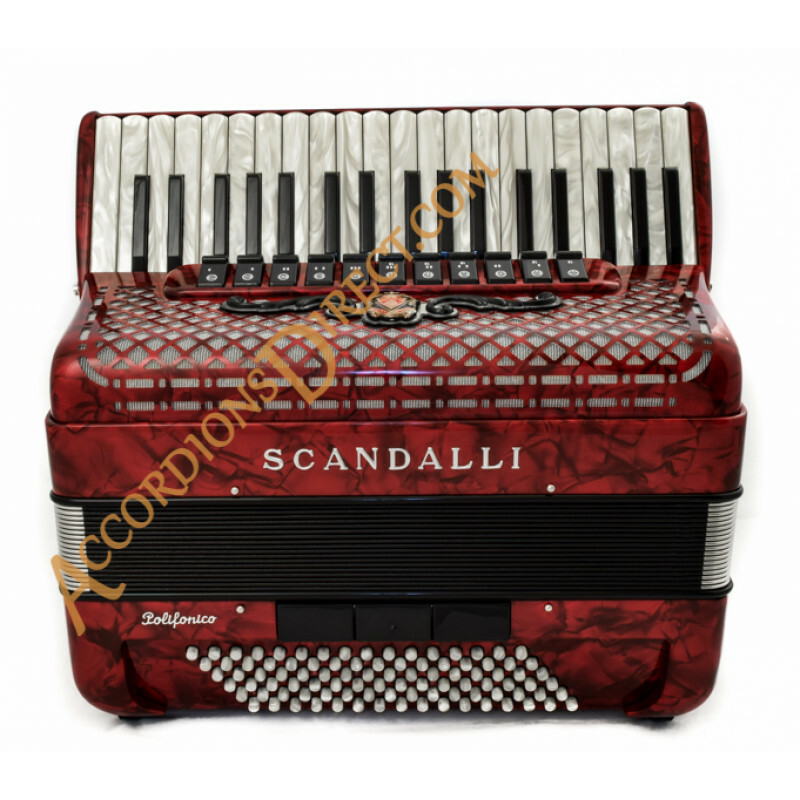 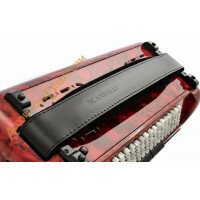 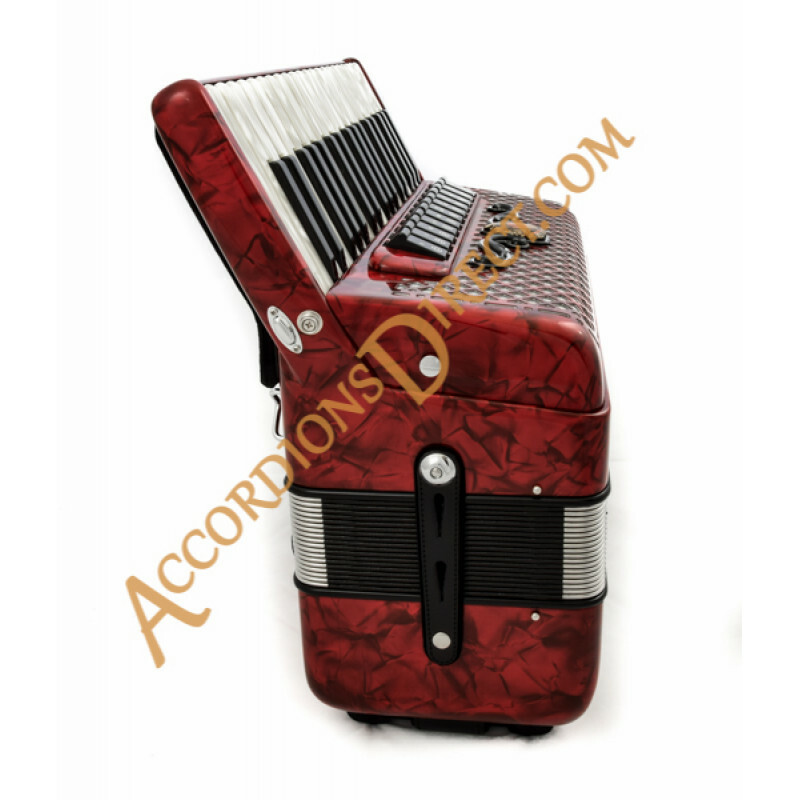 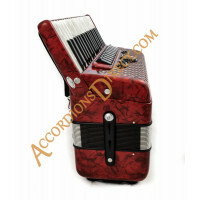 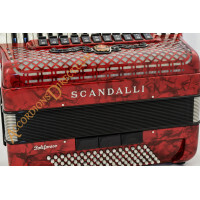 Polifonico IX is Scandall's very famous traditional model in a more compact size. 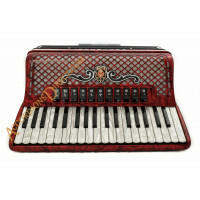 Really solid reputation for this model worldwide and with just 37 keys and 96 bass this is a very nice slightly more compact version. 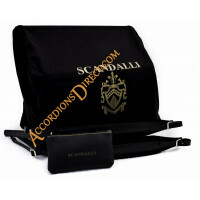 Usual Scandalli quality of build and reeds.